The Pra Kring, should bring 12 kinds of blessings to the devotee who wears it, bestowed through the rattling Kring bead within the Pra Kring Medicine Buddha. 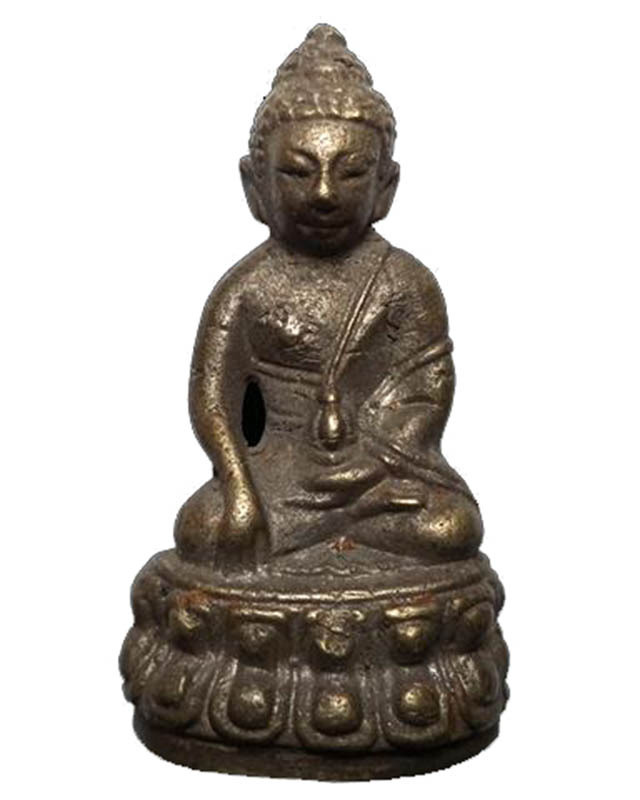 The Pra Kring Buddha, or ‘Bhaisajyaguru’ is one of Seven Bhaisajayagurus and is said to have two Bodhisattvas under him ‘Pra Suriya Bprapaa Potisat’ (Suriya Bhrapa Bodhksattva), and the Pra Jantra Bprapaa Potisat (Chandra Bhrapa Bodhisattva).. 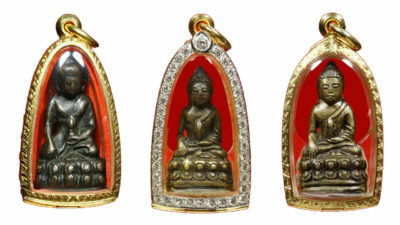 This is the root of the Pra Kring Amulet’s legend till now, which was thought up and created in Thailand. It is only made here in Thailand. Of all the other Buddhist countries who revere it, only Thailand is responsible for its making. The image is normally in the posture of sitting and holding an almsbowl or a Guava, Gourd or a Vajra. This was a Fully enlightened Buddha, who practised Purity of body and mind, and who was a great teacher of Human Beings, who has the Miracle that he who hears his name in passing, or see his image, will be healed, and live a long healthy and prosperous life with wealthy standing.